The Military Demarcation Line (MDL), sometimes referred to as the Armistice Line, is the land border or demarcation line between North Korea and South Korea. On either side of the line is the Korean Demilitarized Zone (DMZ). The MDL and DMZ were established by the Armistice at the end of Korean War in 1953. 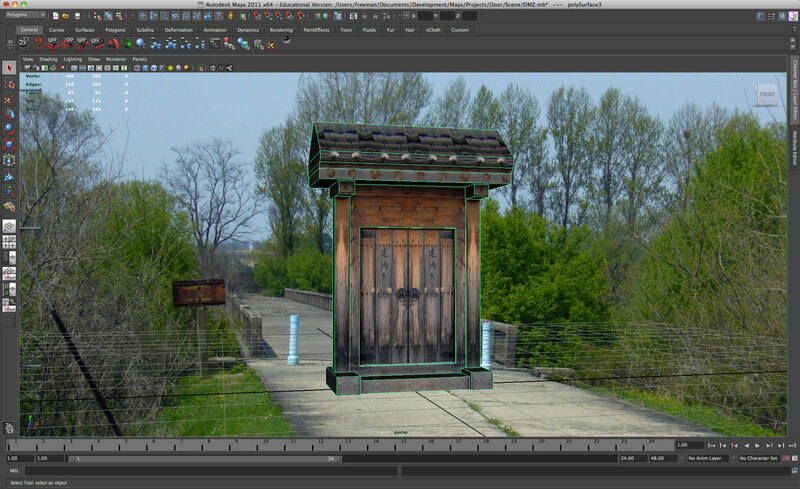 DMZ Peace Door model in development environment. Modeled after traditional Korean architecture, this Peace Door includes augmentations along the DMZ. 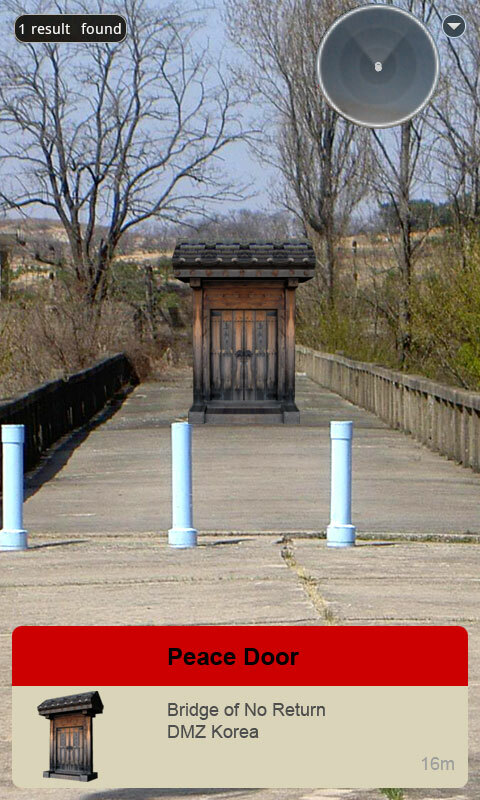 Here is a visualization of the DMZ Korea Peace Door at the Bridge of No Return. The bridge was used for prisoner exchanges at the end of the war. The name originates from the claim that many war prisoners captured by the United States did not wish to return home. The prisoners were brought to the bridge and given the choice to remain in the country of their captivity or cross over to the other country. But if they chose to cross the bridge, they would never be allowed to return. This entry was posted on February 6, 2011 at 7:34 pm and is filed under Korea DMZ, Maps. You can follow any responses to this entry through the RSS 2.0 feed. You can leave a response, or trackback from your own site.